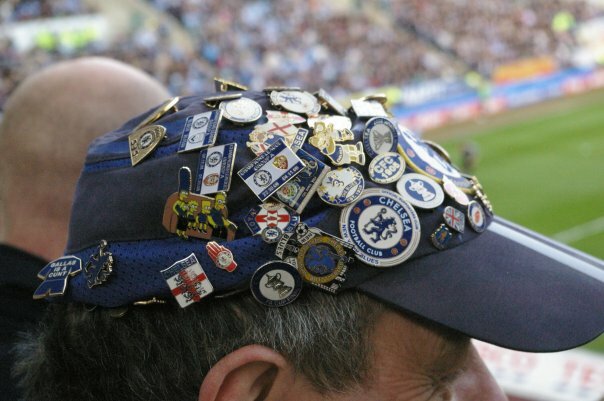 Coventry City vs. Chelsea : 3 March 2009. What can you say about it? Apart from featuring in the opening line of “Football Factory” ( the book, not the film…), what is there to say? A rather nondescript Midlands town, tagged onto the eastern side of Birmingham, badly bombed during the war, formerly the home to a sizeable automotive industry and formerly the home to a top flight footy team. I only visited Highfield Road about four times with Chelsea…City now play in a purpose-built stadium a few miles north of their former home. I was pretty happy they defeated Blackburn in the last round as this meant a less-strenuous trip than another awayday in the North-West…it also meant a new ground for me. I collected Lord Parky from Parky Towers at 8.45am and was soon heading up the old Roman Road of the Fosseway. I last drove along here en route to Hull in November and it’s a great road. Through some familiar towns, the chat never stopping – we spoke about alsorts, but never mentioned the game once. Chelsea had 5,200 tickets for this game and they went like gold dust. Daryl, Ed, Alan and Gary were driving up from London. The time flew past and we were parked up in an “official park and walk” car-park at just after 11am. What with Parky on crutches and myself limping from my football injury, we looked a right couple of crocks. We decided to head straight into the stadium and get a couple of beers.I made the mistake of paying over-the-odds for a Wimpy burger with cheese…the picture above the counter gave the impression of a mouth-watering treat. The reality was far from it. There was a square inch of lettuce on the burger. Still, more fool me for buying it in the first place. Into the bowl of the stadium and first impressions were favourable…a nice, clean stadium, spoiled only by the horrible beige paint used in and around the “corporate deck” of the main stand. Why not sky blue? The much maligned Jimmy Hill – player, chairman and TV presenter – put Coventry City on the map in the ‘sixties and made a great deal of the Sky Blue theme running through the club. Why the paintwork did not match the team’s colours seemed strange. The atmosphere was OK, with 90% of the home support coming from “The Kids In The Corner Bit” to my right. They made a fair din to be fair, but our support more than matched them. Only in the second-half, with their spirits waning did “TKITCB” relent and turn their attentions to making aeroplanes out of the hundreds of sky-blue cards given out at the start of the game. I had a good seat, right behind the goal. What a lovely finish from Drogba to give us a 1-0 lead…a trademark goal from him. From there, we didn’t really look back and I never felt troubled. Coventry had a nice shape, but never really bothered us. The addition of Quaresma added a bit more sparkle to our play and he capped a nice contribution with the pin-point cross which allowed Alex to thunder home. On the drive home, I tried my hardest to get the Quaresma name into a Que Sera Sera chant, but failed miserably – something to work on I guess. Parky and myself listened to the opening exchanges of the Fulham vs. United game on our drive south…no surprises how that ended-up. Home at just after 6pm, a nice early finish – and Chelsea into the FA Cup Semi-Finals. I commented to Parky that when we reached the semis for the first time in my memory in 1994, it warranted a pitch invasion and wild hysteria…this was on the day that “The Blue Flag” first appeared at HQ. In 2009, on the final whistle at the Ricoh, I applauded briefly but hardly even smiled. That’s a shame – I should cherish these moments, but it just goes to show how far we have come as a club. This entry was posted in Season 2008-2009. and tagged 2008-2009, Alex, Coventry City, FA Cup, Jimmy Hill by Chris Axon. Bookmark the permalink.